Find the best foreclosure homes listings for sale — bank-owned, government (Fannie Mae, Freddie Mac, HUD, etc.) 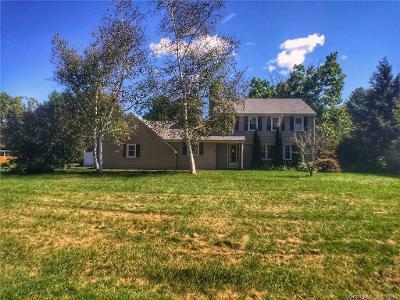 and others — in and near the West Simsbury, CT area at Foreclosure.com. Get information on foreclosure homes for rent, how to buy foreclosures in West Simsbury, CT and much more. Save thousands at closing with home foreclosure listings in West Simsbury, CT — up to 75% off market value! West Simsbury is a census-designated place (CDP) and section of the town of Simsbury in Hartford County, Connecticut, United States. The population of the CDP was 2,447 at the 2010 census. West Simsbury occupies the west-central part of the town of Simsbury and is bordered to the east by Simsbury Center and to the south by Weatogue. Connecticut Route 309 is the main road through the community, leading east to Simsbury Center and northwest to North Canton. According to the United States Census Bureau, the West Simsbury CDP has a total area of 4.4 square miles (11.3 km2), all land. There are currently 1 red-hot tax lien listings in West Simsbury, CT.